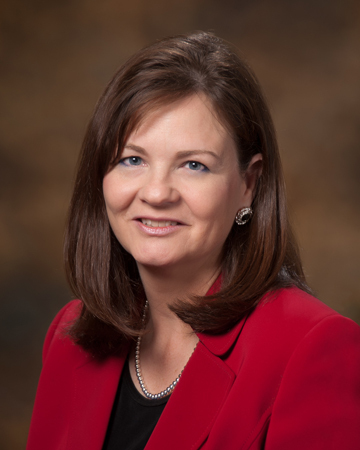 The investiture of NOC’s 13th president, Dr. Cheryl Evans, will take place Sept. 29 in the Foster-Piper Fieldhouse on the Tonkawa campus, followed by a reception in the lobby of the Renfro Center. An inaugural celebration for Northern Oklahoma College President Cheryl Evans will be held at 2 p.m., Sept. 29 in the Foster-Piper Fieldhouse on the Tonkawa campus, followed by a reception in the lobby of the Renfro Center. NOC will also celebrate 110 years of commitment to student success as a higher learning institution in conjunction with the investiture. Evans is the 13th president since NOC was founded in 1901 and the first female NOC president. She began serving as president June 1. Prior to serving as NOC president, Evans served 17 years at Northwestern Oklahoma State University. For 10 years she taught media courses and chaired the communication department on the Alva campus. For the past seven years Evans led the university’s Enid campus. While at Northwestern, she served as self-study chair for the institution’s 2004 accreditation visit from the Higher Learning Commission of the North Central Association. She has served as a peer reviewer for the Program to Evaluate and Advance Quality for the commission since that time. She was raised in Cherokee, Okla., and completed her B.A. in mass communications at Northwestern. She finished her M.A. in communication at Wichita State University and her Ed.D. at Oklahoma State University. While at Northwestern, Evans was recognized with the John Barton Distinguished Teaching and Service Award in 2004 and selected by the Student Government Association as the John Sheffield Teacher of the Year in 2000. An active community member, Evans has served as the Enid Chamber of Commerce Chair for 2010-11 and is presently a member of the Tonkawa and Ponca City Chamber of Commerce boards. In addition, Evans volunteers with the Cherokee Strip Regional Heritage Center Board, CDSA Board, Rotary, United Way, Enid’s Joint Industrial Foundation Board, NBC Bank Advisory Council and the Integris Bass Health Center Board. She is a charter member of Enid’s Juliette Lowe Society to benefit Girl Scouts. Evans is a member of the Ponca City University Center Advisory Board and an Oklahoma Academy for State Goals member. Evans’ honors include Leadership Oklahoma Class XXI and serving as the program chair for Youth Leadership Oklahoma this past year. She is a member of Leadership Ponca City Class 2012 and a graduate of Leadership Greater Enid. She completed Harvard University’s Middle Management Program and Oklahoma’s Educators’ Leadership Academy. This year she is being recognized as one of the Journal Record’s Woman of the Year “50 Making a Difference” honorees. Evans and her husband, Tom, enjoy traveling and serving in their church. Tom is CEO and owner of Encompass Financial Services Inc. They have two daughters, Cara Evans Carson, an OSU marketing graduate who is a member of the Encompass FSI team, and Christa Evans, an OBU graduate and OU School of Law, May 2011 alumna. The announcement of her appointment was made during the February board of regents meeting. Board chairman Jesse Mendez said, “The NOC board of regents is excited to announce the historic selection of Dr. Cheryl Evans as our 13th president. Evans’ leadership abilities, energy and drive are a perfect institutional fit for NOC as an exemplary learning community. NOC is a public community college with campuses in Tonkawa, Stillwater and Enid serving over 5,000 students.